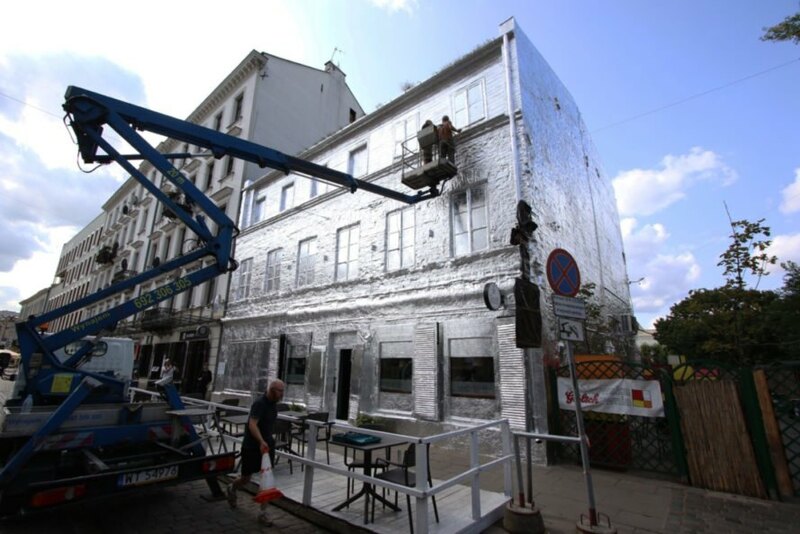 Polish-born artist Piotr Janowski has become well-known for turning buildings and even entire locomotives into shimmery art installations by covering them in thin layers of tin foil. 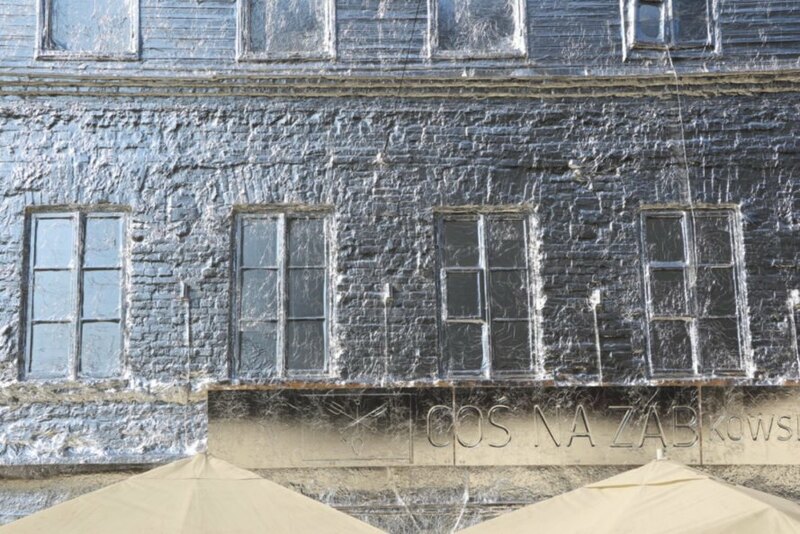 Now, the artist is back with Zabkowska 9, Take off — a building in the heart of Warsaw that has been sitting empty and in decay for years. 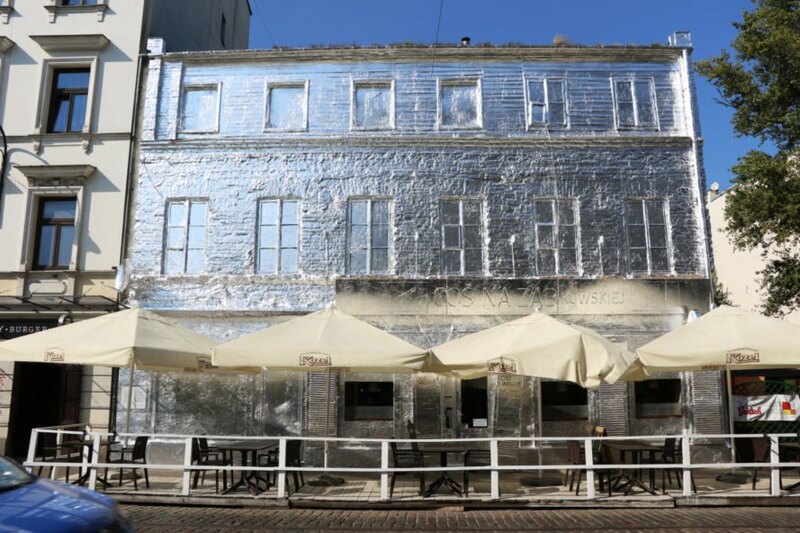 By wrapping the large townhouse in tin foil, the artist hopes to call attention to Warsaw’s lack of affordable housing, despite the city’s high number of empty buildings. Janowski’s latest canvas this time around is a derelict 1870 tenement building, which has survived two world wars, located in Warsaw’s Praga-Północ district. Over the years, the area has become known for its crime and drug scene, but is being rediscovered as of late. Comparing it to Brooklyn before gentrification, Janowski said he is seeking to bring attention to the building and its potential to help the city with its lack of affordable housing. 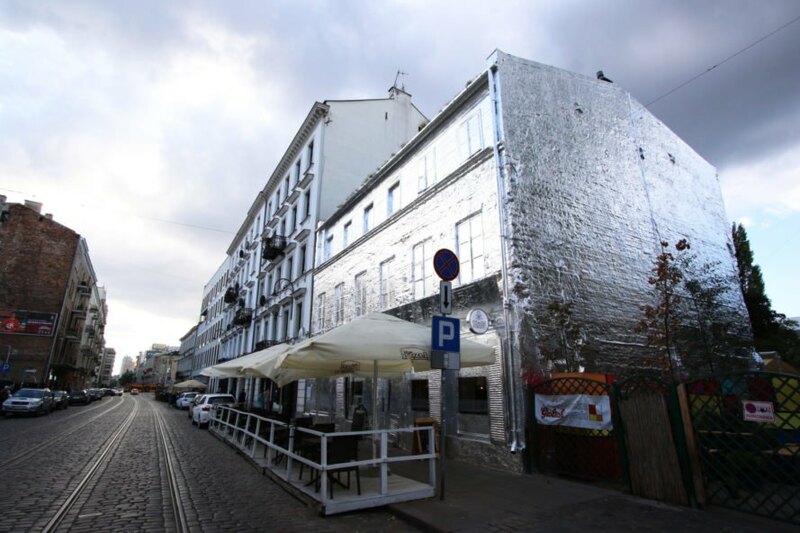 Working with a local homeless man, Wiesław Gołąb, who lives in the building, the artist began the art installation by covering the facade in more than 600 square meters of tin foil. Using a lift, he often spent days on end painstakingly covering the building’s wooden, wood, metal and stone facade. With help from Wiesław, his wife and about 15 young volunteers, he was able to finish the incredible art piece in about 10 days. 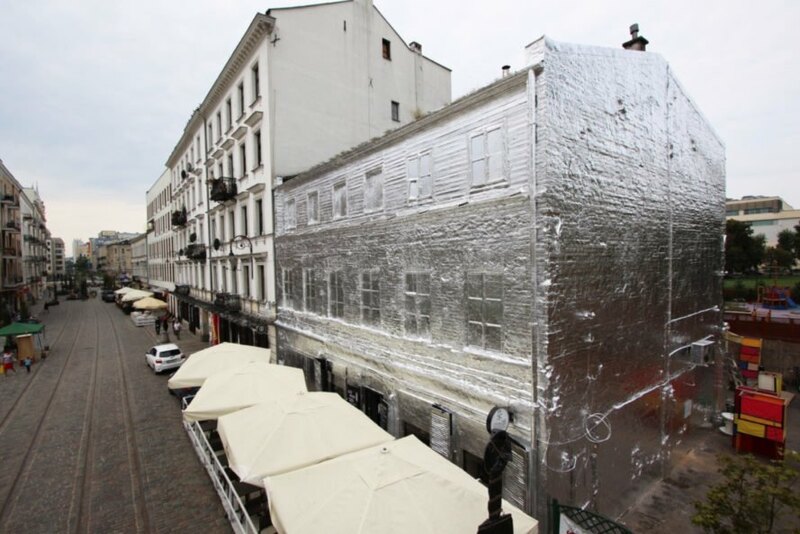 Polish artist Piotr Janowski has wrapped an empty building in Warsaw in tin foil to protest the city's lack of affordable housing. Ząbkowska 9, Take off is the artist's way of calling attention to the number of empty buildings in his hometown. The tenement building dates back to 1870. The project opened to the public on September 8. Although a historical building, the townhouse has been ignored and fallen further into disrepair. The artist intricately wrapped the building in a thin layer of tin foil. The aluminum foil closely hugs every inch of the building. The building has sat empty for a number of years. The artist had some help on the project by a homeless man that lives in the building. The fine details of the building are highlighted by its shimmery new facade. The artwork was a massive undertaking. The foil was used to cover the building's wood, metal and stone facade. The tin foil cladding is quite attention-grabbing. 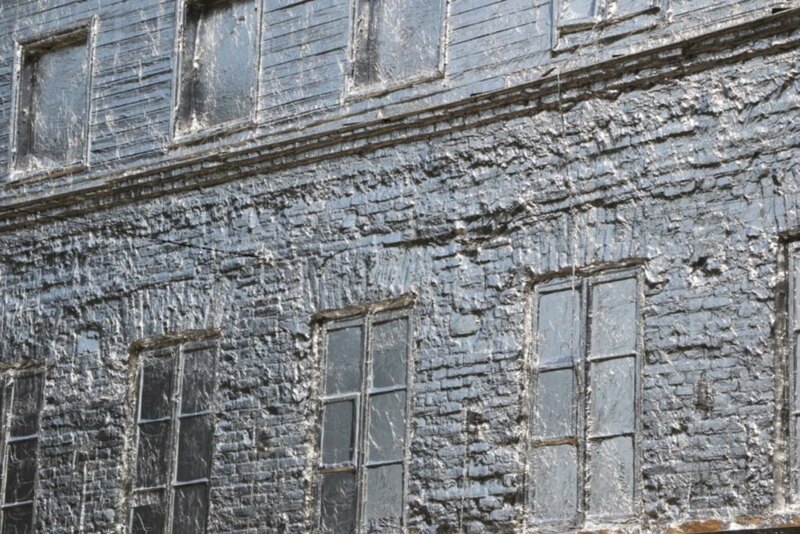 Janowski used a similar technique as gold-leaf, which picked up every detail of the wooden building.